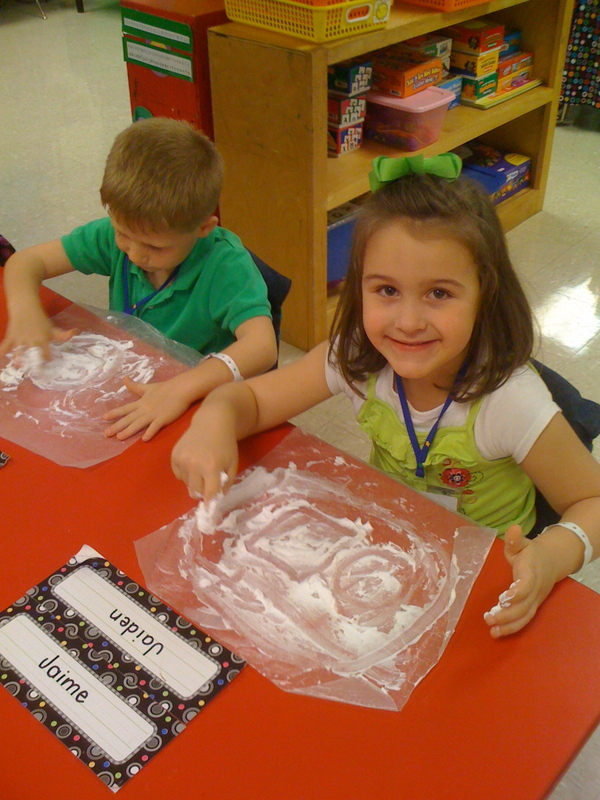 Mrs. Lee's Kindergarten: I'm Back with My First Week of Full Days Fun! Well, since my last post my twinsie had her precious baby girl, so to say the least I've been wrapped up in all of that. I totally missed the rest of Teacher Week at Blog Hoppin'...so sorry! I've not even touched my computer to work on Freebies for you guys or TPT stuff in over a month! I hope to get back on that soon. 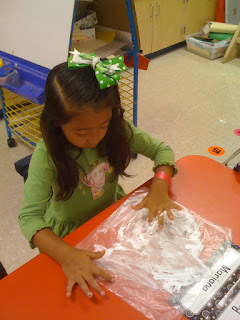 We are getting back into the swing of things in K...I took a few pics this week, but my camera, or battery died (again) so some of them are on there. 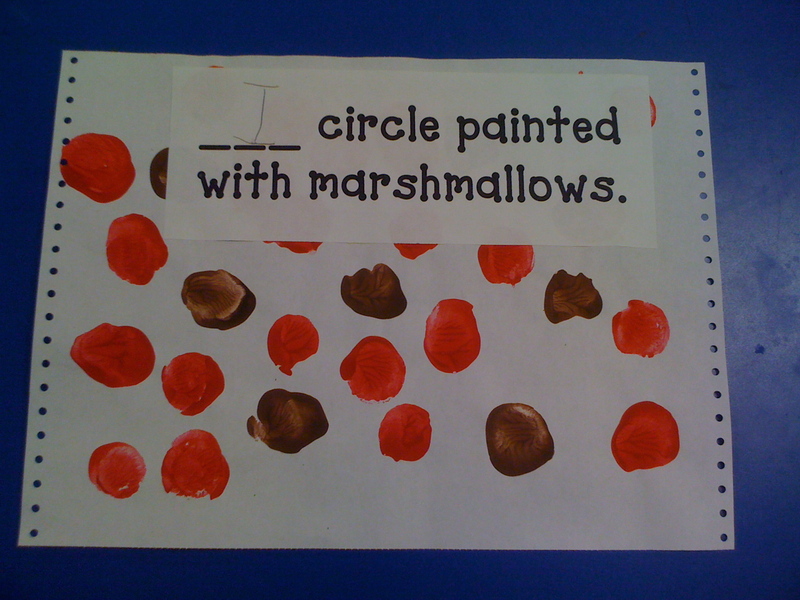 We started learning colors and shapes this week using Brown Bear Brown Bear What Do You See? 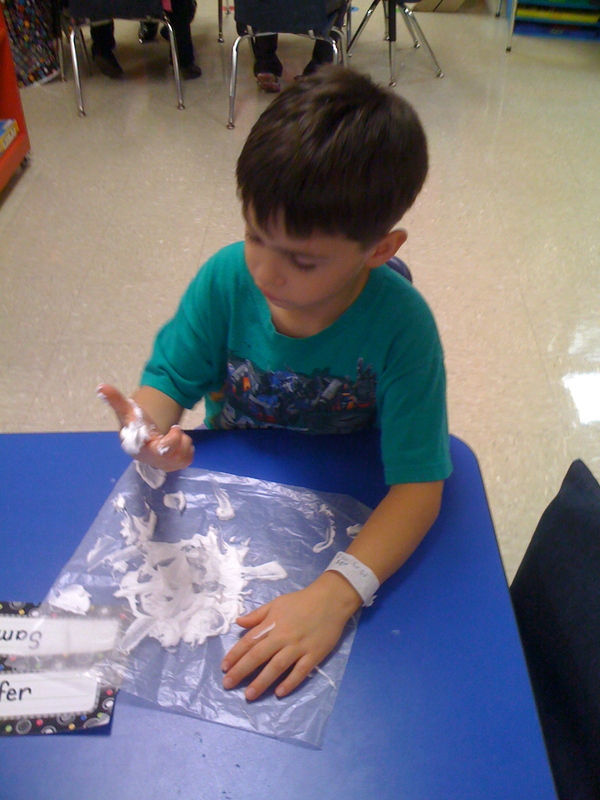 I didn't take pics of all of our pages for our color book, but here we are using a marshmallow to paint our frogs green...we mixed yellow and blue food coloring to sponge on the color...then the best part? We ATE it!! 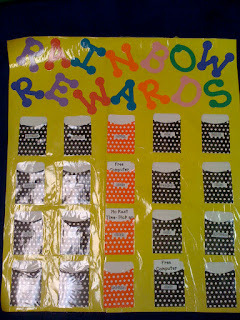 We are in full swing building our rainbows...this positive reinforcement systems works GREAT for me...the kids love it! 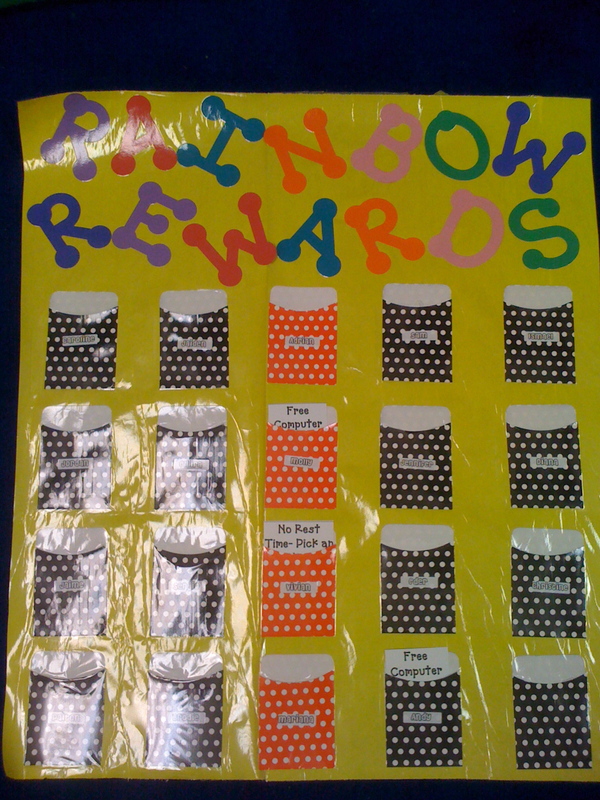 My K helper...*yes our system gets us helpers for the first 2 weeks of K* (we don't have aides, but we are fortunate enough to have someone for 2 weeks) made this little chart to go with our rainbows...when a student completes their rainbow, they get to choose a coupon. The coupon goes in their little pocket. This is the only way I could come up with keeping up with who chose what and when they redeem it. 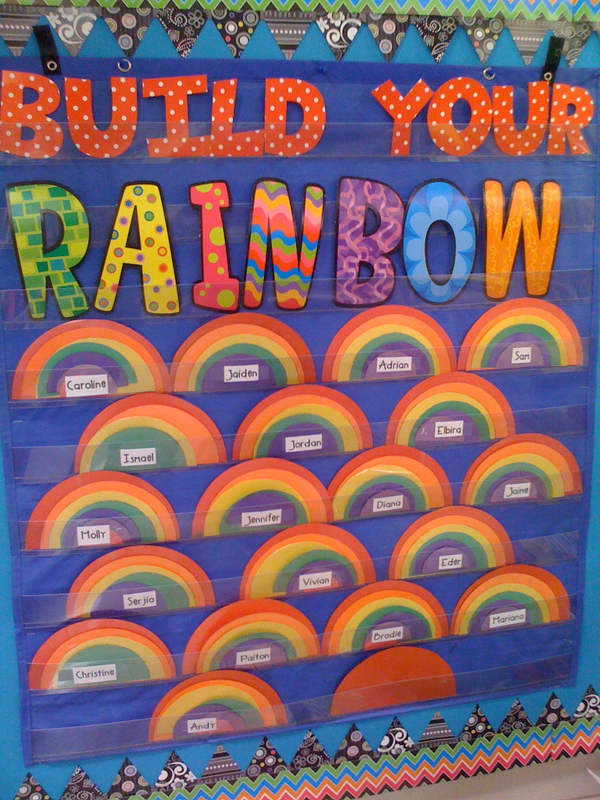 Sometimes several students finish their rainbow at the same time so I needed a way to keep up with it. 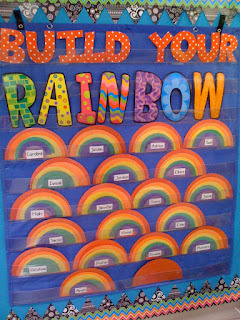 I had 5 students complete their rainbow on Friday and several more are very close! We are working super hard to do our best work! Aren't these adorable? 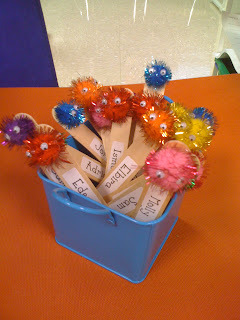 We made these the first week after reading The Kissing Hand. You can find the patterns and directions for this little activity in my store HERE. We made shapes with craft sticks. I had the students build them first after talking in depth about squares. Then they glued them to their paper. 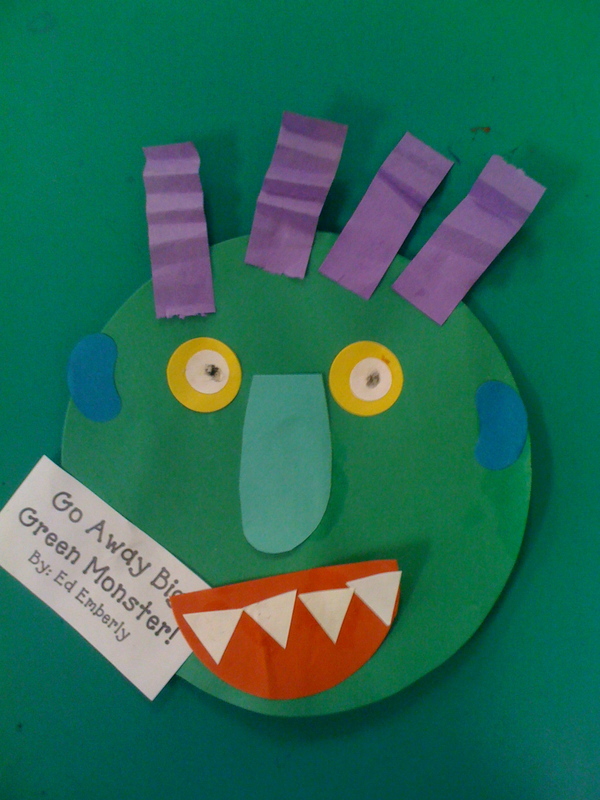 We read Go Away Big Green Monster on green day and made this little cutie! It also went perfect with our shape study about circles. I did this last year and had to do it again. Painting is just more fun when you use food! My K helper made these "pick me" sticks...I always use these during whole group activities to change up ways to call on students. We played in shaving cream to draw shapes during math! 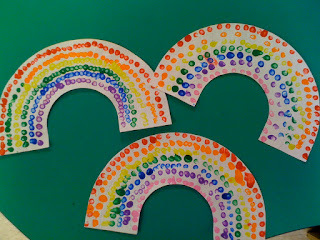 In art center this week, we painted rainbows using Q-Tips...GREAT fine motor practice! Plus they are colorful and will look great hanging up! 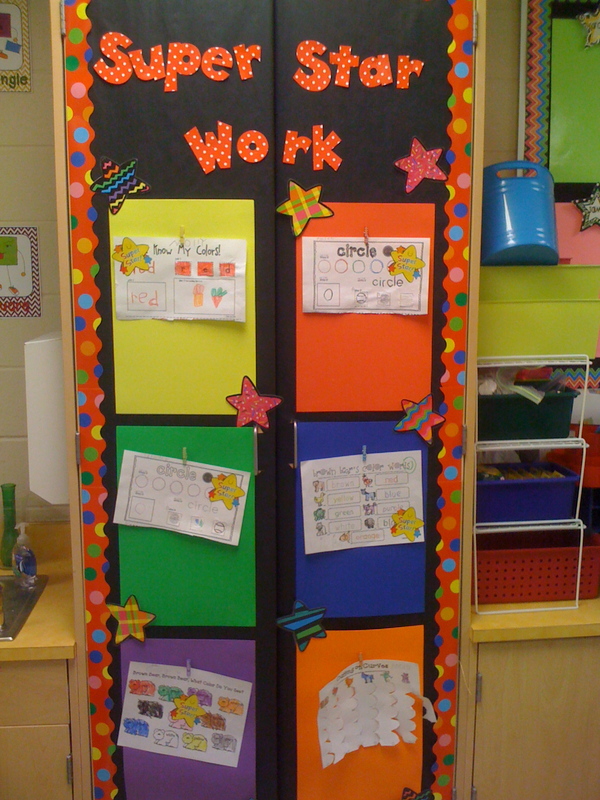 I've had several questions as to how I start centers in my room so I hope I can get back with answers to that soon! Everything is so cute! 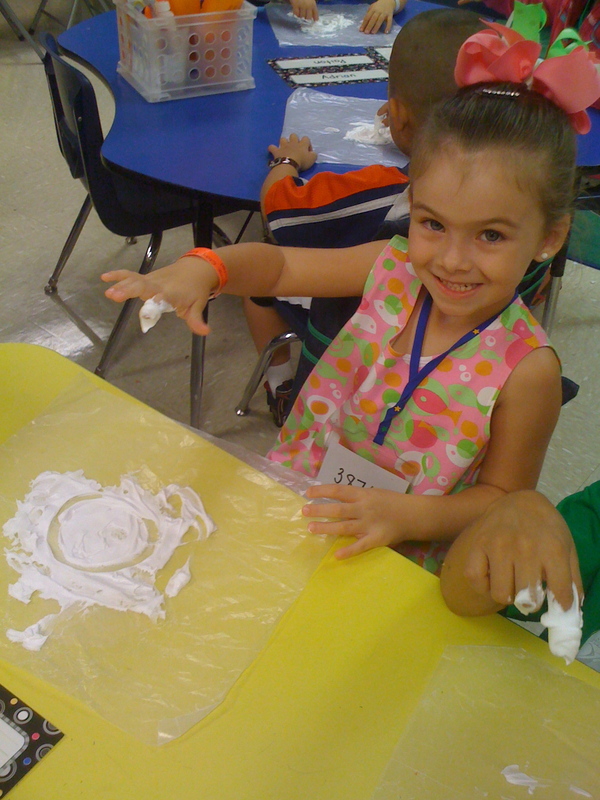 Looks like your kiddos had a great first week! Looks like a great start to the year! I have to tell you your School's in Session pack was a lifesaver these past 2 weeks for me! Thanks for the wonderful ideas! What a fun first week. 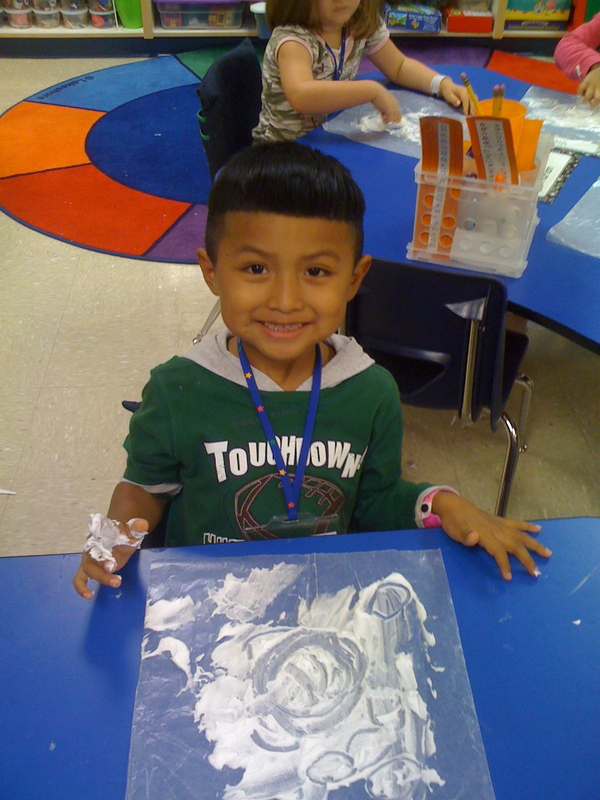 I love the shaving cream drawing and your kids look like they are loving it, too! What a great start to the year! I love the idea of putting shaving cream on wax paper...wow! Have a great week! Now that I am in K for this year, your posts are even more helpful!! I LOVE Go Away Big Green Monster! Your kids look like they had a blast! Great ideas! So cute! A question...do you do Daily 5? Just wondering if your kids are doing their own cutting for the Chester and Monster projects or if everything is cut out for your kiddos and they just assemble? They sure are cute crafts! What a great start to the year! I love the visual representationof the helpers.. I just wanted to take the time to say thank you for your site. It is very helpful and I really enjoyed all the information. Thanks again!!!! this is great - thank you for sharing!